The divine Self (ATMAN) revelation camp will take place during December 28, 2016 – January 3rd, 2017, in Brașov, at the events Centre „Lux Divina”. During this camp, which will benefit from the telepathic spiritual support of the yoga teacher Gregorian Bivolaru, you will be offered and exemplified, from the unique perspective of the supramental, both the fundamental method for the revelation of the Divine essential Self (ATMAN) through meditative introspection, as well as an exceptional secret way of Self revelation through the medium of the sublime esthetic experience which is triggered by the initiated or divinely inspired art, and other practical and extremely important aspects. 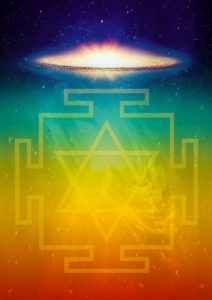 “The unique ensemble of information and secret initiating procedures offered during this spiritual camp is meant to constitute the esoteric foundation of direct access on an extraordinarily quick and efficient (but at the same time easily accessible) path to the essential reality of the supreme and immortal Self, Atman. This way, as you will be able to realize by taking part in this exceptional spiritual manifestation, the revelation of the Self, although generally regarded as a hard-to-attain spiritual objective which is reserved only to the highly advanced yogis, is fully accessible based on an adequate spiritual guidance and impulse. Indeed, the revelation of the divine Self is not, just as the great sage and liberated Ramana Maharishi underlined, something very distant from us, something almost intangible at our present level of consciousness. On the contrary, the divine immortal Self (Atman) is the very essence of our being and our consciousness, and therefore, in reality, it is always accessible to us. Only a certain form of ignorance keeps us from realizing this fundamental truth right now. Therefore, when due to an adequate practice that is competently guided and assisted, this ignorance is removed (even if for a very short period of time), we will discover ecstatically this ultimate essence of our being, which is our very own divine, eternal and immutable Heart. Then, all the great yogis and the spiritually accomplished of this planet state, common yogic practices, like bodily postures (asana), techniques for the modulation of the subtle respiratory breath (pranayama) or even the various procedures for mental focusing or meditation (dharana, dhyana) become something secondary by comparison to the permanent realization of the Self.